ColourPop has been my weakness lately so...this is why I have the Moment of Weekness set to show you today. Though I am not a frequent wearer of matte liquid lipsticks, something told me I had to have this set and I am so happy I got it. 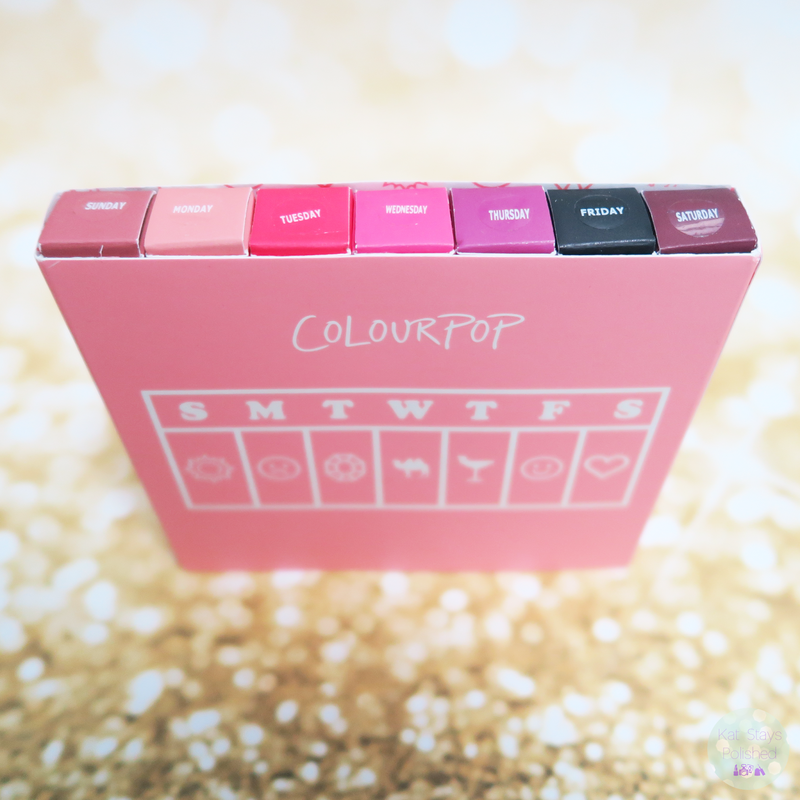 Moment of Weekness is a set of 7 shades [1 to wear each day of the week] and are named appropriately. The most clever in my opinion is Friday - it's a matte black! I missed out on it during Black Friday so I'm happy to have been able to snag it in this collection. Just looking at all of them makes me happy I purchased this. The collection of colors is variation enough for any mood and any day of the week - HA! Alright, so here are some quick arm swatches of each of the colors. This is just one and a half swipes on my arm. 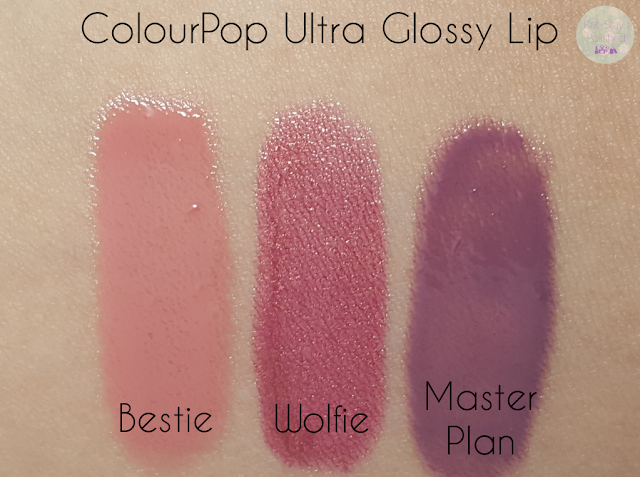 You can see how opaque and pigmented these shades are so applying to the lips should be a breeze. When I use these shades, look out for them on my IG - that's where I'll be posting selfies for any of my makeup pics! 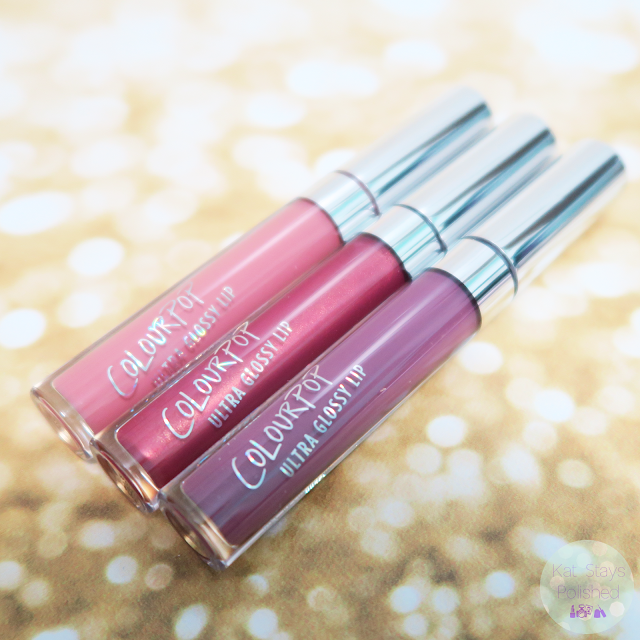 The latest promotion with ColourPop was being able to get some Ultra Glossy Lip products with a certain dollar amount purchased. I got 3 glosses with my order so check them out below! I honestly didn't know what I was choosing and it was so hard to pick. I'm actually really happy with the color choices I made. Master Plan might be the only one I have to work with a little bit. I do have a Lippie Stix that would pair well with this. I have to go find it and try it out for you guys! Who else purchases this set or any of the individual shades from the collection? What are your thoughts? 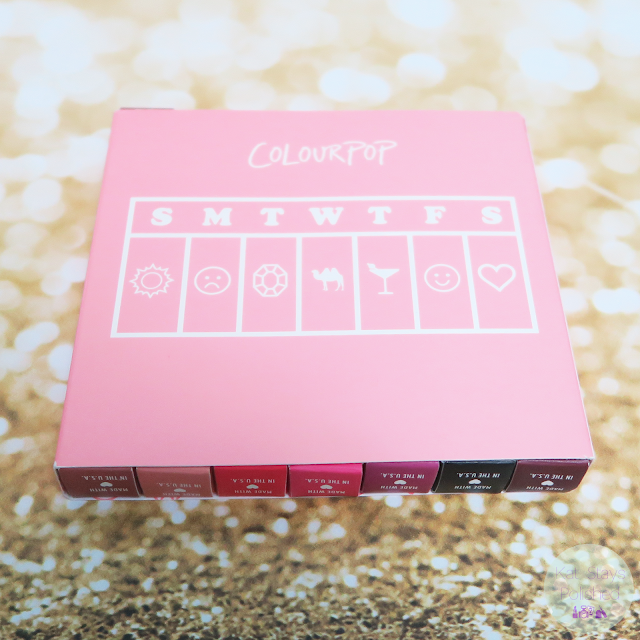 Let me know what else you've been getting from ColourPop lately! The lip set looks nice! I'm splurging on that collection as soon as I can, and I really want Master Plan now! Fun set though they look very matte for someone my age. I love when they have specials. I bought some eyeshadows when they had brushes as their special. Such pretty colors! Would you believe I still havent tried CP??!! These are really pretty! 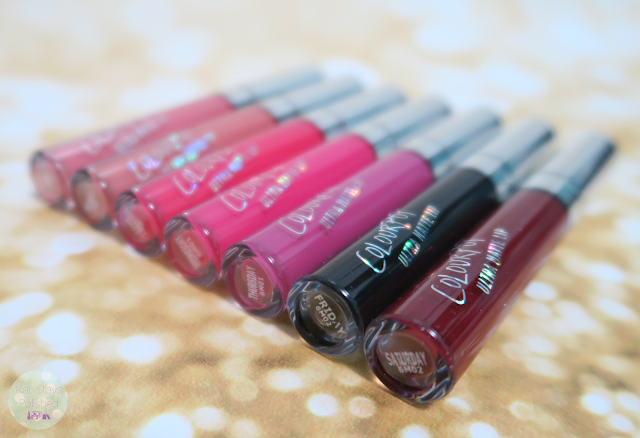 I actually am LOVING the look of the glosses especially. can't wait to see them on you! 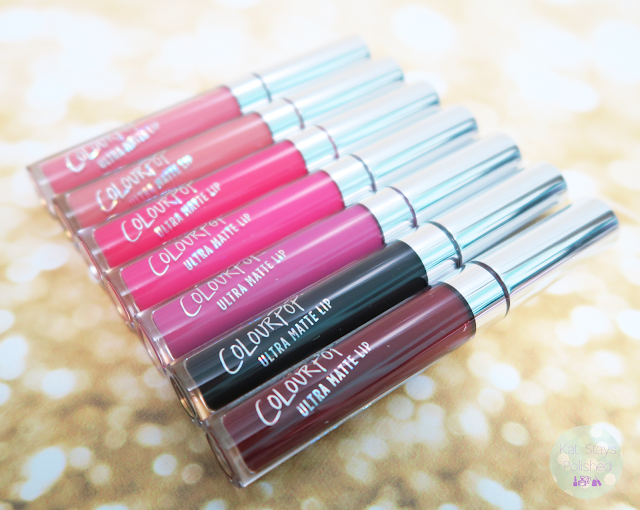 Tuesday is my fav, but I like ALL the glosses! So glad you're happy with this set! I love that there's a black lipstick in the set!